But will there be enough supply to go around? As rumors and reports about the next iPhone pile up, it seems increasingly likely that Apple will be upgrading its new flagship's screen. 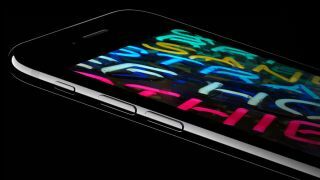 Apple appears to be in need of a massive supply of active-matrix light-emitting diode (AMOLED) displays – which would support past rumors that the iPhone 8 will sport a souped-up screen, according to industry sources of DigiTimes (as reported by PhoneArena). AMOLED screens provide a high level of contrast and vivid color, but are also more costly and time-consuming to produce than conventional LED and LCD displays. Samsung has traditionally dominated the display game, with handsets like the Samsung Galaxy S7 Edge already rocking AMOLED screens, and the Galaxy Note 7 regularly taking home top display honors. While some reports point to the Galaxy 8 screen upgrading to 4K, it wouldn't surprise us if Samsung stuck with AMOLED for its next flagship. Apple could very well be stepping up its own visuals game to give the incoming Samsung Galaxy S8 a run for its pixelated money. The same report also claims that Chinese mobile production companies Oppo, Vivo, Huawei, and BBK are investing in flexible OLED producer Royole, also headquartered in China. These tie-ups are said to help ensure there are enough AMOLED displays to go around – for Apple, as well as any other companies interested in using the technology. Concerns over supply mean it may take some time for AMOLED displays to really catch on – a previous report suggested that Apple could be reserving top-tier displays for a higher-end model of the iPhone 8.
iPhone-ing it in too soon? To add more fuel to the AMOLED rumor fire, possible Apple display partner Sharp plans to invest heavily in making OLED screens with the help of electronics factory giant Foxconn, though the company won't start production until 2019, according to DigiTimes. This could mean a long wait before Apple has a stable supplier for AMOLED screens, further increasing the chances that not all versions of the next iPhone will come with a maxed-out display. Rather, the supposed AMOLED iPhone 8 could be one of three models, with the other two likely featuring less-powerful displays to keep prices low – this would be a similar approach to Apple's giving the iPhone 7 Plus a dual-lens camera over the single lens of the iPhone 7. As is with the case with most whispers surrounding the tight-lipped tech giant, however, it's best to take things with a grain of salt leading up to the official word from Apple. If nothing else, an eye-popping display will make the supposed plans to replace the iPhone's iconic home button with a screen all the more intriguing.